Skip the bloody mary at your next brunch, and instead try the classic Ramos gin fizz cocktail. The ingredient list might sound a bit strange at first (cream and egg whites, what? ), but we promise it's delicious. Plus, you'll get a bit of an arm workout shaking it up, baby. The Ramos gin fizz cocktail was created in New Orleans back in the 1880s. Because of the egg white and heavy cream in the drink, it needs a lot of shaking time. In fact, bartenders used to pass the shaker around the room when making it because the recipe called for 12 minutes of shaking. I don't know about you, but my arms would fall off after the first three. Now, you don't actually have to shake your Ramos gin fizz for that long, but you do want to give it a good hard shake before and after adding the ice. 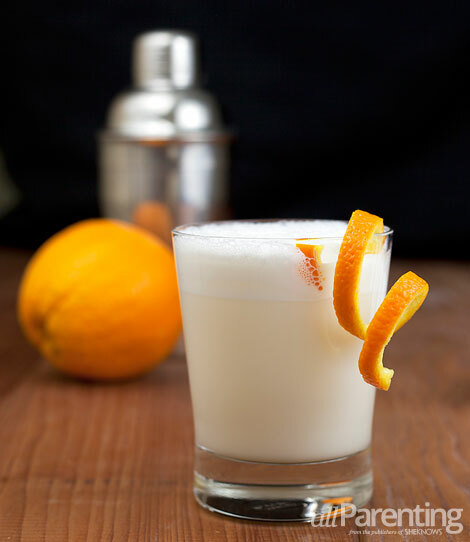 As for the gin, London dry gin is typically what's used when making a Ramos gin fizz. However, a nice woodsy gin like St. George Spirits Terroir is also lovely. Orange flower water can be found in some beverage stores or ordered online at Amazon. There is no substituting this ingredient in the drink so don't even try. Add gin, lemon, lime, simple syrup, egg white, heavy cream and orange flower water to a cocktail shaker. Shake vigorously without ice to combine. Add ice and shake again for another minute or 2. Strain into a chilled highball or rocks glass, top with club soda and stir.